Batch analysis macros enable the analysis of data files in batches and eliminates the need to define parameters for every data set. StakMax®Automated event detection analyzes spontaneous and evoked action potentials and post-synaptic data. Identify events based on a variety of factors. 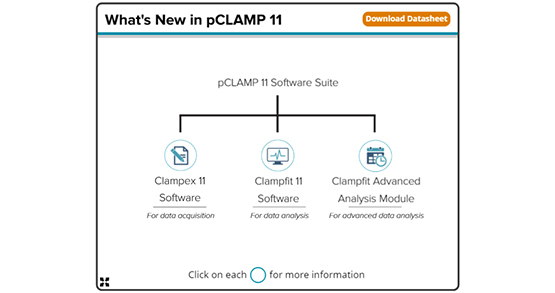 The software includes a wealth of analysis tools including 24 cursor pairs for regions of interest search, graph plotting tools such as I-V plot and histogram, and more. The membrane testwindow displays up to eight channels simultaneously, making it easier to control multiple channels. A simple continuous “chart-recorder” useful for monitoring single channel events, minis, and other spontaneous activities. Protocol-editor-style epochs and program digital or analog outputs can be executed. This tool automatically calculates amplitude, area under the curve, half-width, decay and rise time, decay and rise slope, coastline of spike, and paired pulses. 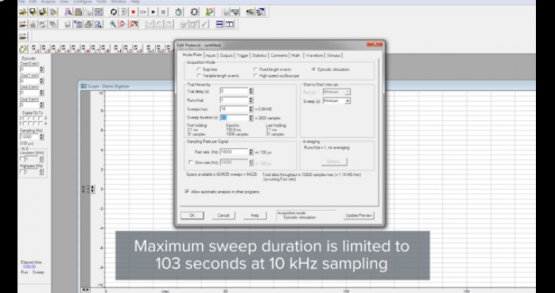 This feature automatically detects and analyzes amplitude, APD90, rise and decay time, rise and decay slope, peak-to-peak frequency and time, and more. 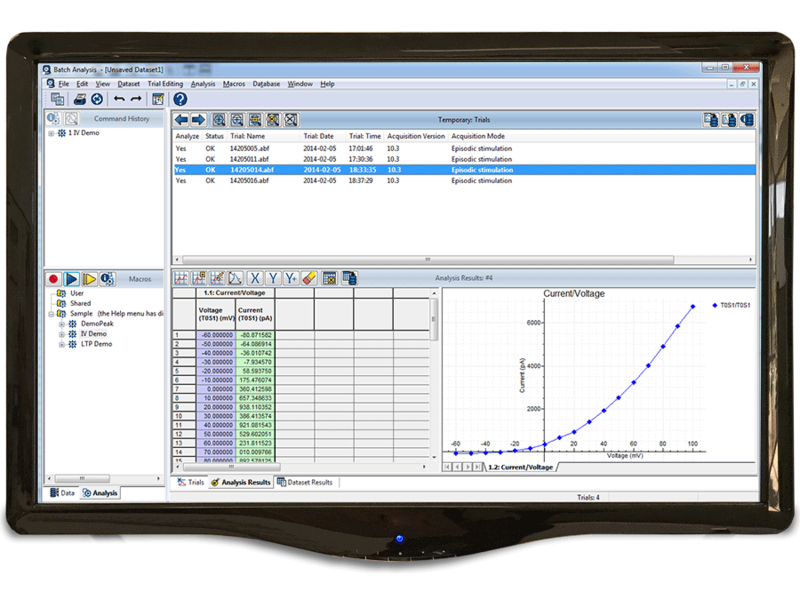 Macros for batch analysis eliminates the need to define parameters for every data set. Saved macros can be applied to multiple data sets for automatic analysis. *Supports all previous versions in a model line. **We only support Professional, Enterprise, and Ultimate editions but not Home edition.